Château Gabriel in the Côtes-de-Provence AOC is the most recent acquisition of Marie Sauron and Gabriel Arizzi — notable names among the vineyards of the Saint-Tropez Peninsula. Marie Sauron stems from the Sauron family, which acquired Domaine Siouvette in 1836. Located 20 kilometres from St Tropez, at the base of the Massif-des-Maures, this 20-hectare estate is surrounded by a landscape of cork oak trees and heather, and produces exceptional wines. Marie and her husband Gabriel recently decided to turn their attention to a second estate, forming Château Gabriel in the village of Le Cannet-des-Maures in the heart of Provence. This 12-hectare domain receives a heady dose of sunshine and benefits from healthy clay soils. 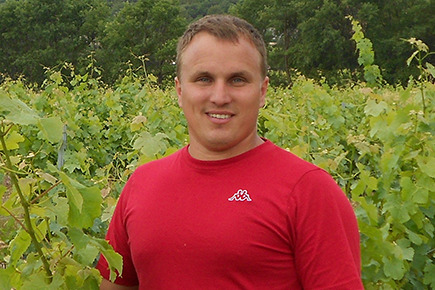 Gabriel is particularly environmentally conscious, and so he converted the vineyard and winery over to organic practices, with the 2013 vintage the final year of the conversion period. The absence of herbicide, fungicide or synthetic insecticides and the use of organic amendments form the basis of this ‘organic viticulture’. The grape varieties planted are those habitually used throughout Provence: Syrah, Grenache, Cinsault, Carignan, Clairette and Sémillon. When striving to make wine as naturally as possible, a focus on growing the healthiest and most perfect grapes is an absolute necessity. Dominique’s conversion to biodynamics starting in 2000 added rigor to her intuitive organic practices, and coupled with her magical terroir she has found an exciting recipe for success. In the cellar, she takes a decisively non-interventionist stance and is very low-tech, yet she is not afraid to experiment as is evidenced by her being one of the first winemakers to use concrete fermentation eggs. Like Didier Barral and Catherine and Pierre Breton, Dominique is a trailblazer in the natural wine movement, each year pushing the quality of her wines higher and higher with uncompromising standards.